Magazine theme with featured posts, ajax box with recent/top rated/most viewed posts and 2 column sidebar. Has an option to rate posts. Contains a widget readt footer area in additional to widget ready sidebar. 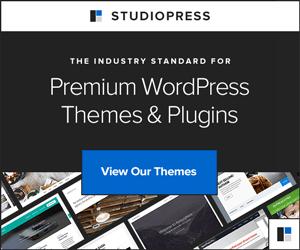 A clean and versatile WordPress theme featuring two gorgeous fonts, handcrafted social icons, and the option to choose your own background color. A simple wordpress theme for ‘Under Construction’ sites. Wanna make your blog look professional? Wanna keep it clean, but in the same time very complex? Use the Blutheme! From the very first moment you see it in action, you will be amazed with the wonderful combination of colors, the light weight and the complexity of this WordPress Themes tools. Crispp is a minimal free wordpress theme with clean lines that lets your visitors focus on your content. It’s simple to integrate and use. I really love the SimpleBlog theme. There are a few others as well that are really great, too. Makes me want to have more blogs just so I can use all these great themes. Glad you like Punchcut Matt. Thanks for including it in your post! Nice to see Comment Central in your post. Thanks! Great collection of free wp themes! Good job of keeping them together. great themes.. thanks for posting..